For those who’ve been paying attention, Facebook’s growth appears to be slowing. It’s not clear why, but one theory is that we’re reaching a saturation point, particularly in North America. Basically, everyone has already signed up for an account. Facebook is literally running out of new people to bring aboard. This is a problem (for Facebook, to be clear) for a number of reasons. Most notably, North American users are Facebook’s most valuable. Facebook makes more dollars from each user in Canada and the U.S. than it does anywhere else in the world. If you accept the theory that Facebook is running out of new users — a once-reliable source of new revenue — then it has to find a way to squeeze more out of those it already has. One answer could be dating. And classifieds, and fundraising, and gaming, and weather, and job-hunting, and live-streaming, and food delivery, and deal-hunting and on and on and on until there is no market or industry left unstamped by the company’s omnipresent blue F.
But let’s focus, for a moment, on dating. Starting this week, Facebook users in Canada can sign up for the company’s new dating service. When it was announced back in May, CEO Mark Zuckerberg said about 200 million people had listed their relationship status as single. Facebook thought it could help. The point is not necessarily to usurp Tinder or Bumble or any of the other popular dating apps and services that people already like. (Though Facebook would no doubt like that.) Rather, it’s Facebook’s way of ratcheting up the gravitational pull of its ever-expanding digital universe — a play to keep its existing users engaged in lieu of rapid new growth. By giving Facebook users more reasons to visit the service more often, and for longer at a time, Facebook has more opportunities to figure out what users like — valuable data for advertisers. More time spent means Facebook can display more accurate ads, and display them more often, too. That’s the play. And even if Facebook’s dating feature isn’t being monetized yet, it still gets people to spend more time within Facebook’s overall app, where there are plenty of other opportunities for ads to appear. 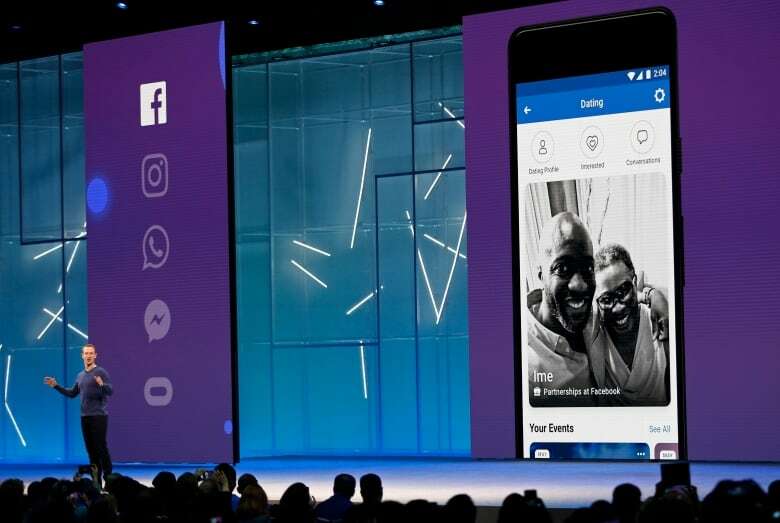 Dating is just the latest example of Facebook launching a feature similar enough to something a competitor has built. Clearly the strategy is working well enough for Facebook to do it again and again. Each new product may not be compelling enough to attract new users on their own, but it’s easier to justify using if you’re already on Facebook all the time. The barrier to entry is lower when you don’t have to download one more app, or sign up for something new. It’s why Facebook has a Craigslist clone called Marketplace, and a GoFundMe clone called Fundraisers. You can use Facebook to find jobs, discounts and offers. You could never check your smartphone’s weather app again in favour of Facebook’s forecast. Its Events app isn’t all that different from Eventbrite, and in some cases you can buy tickets through Facebook too. You can trade Slack for Facebook Workplace, or choose to ignore Twitch and stream yourself playing video games with Gaming Video feature instead. The most blatant — and arguably successful clone — has been the introduction of Stories, the short-form bursts of vertical video that Snapchat introduced, but Instagram popularized further. It was suddenly possible to use Snapchat less when Instagram had one of its most compelling features too. It’s also why so many people got their news from Facebook, for a time, until Facebook realized how much of a liability being a news source had become. The downside to this — though Facebook may not see it this way — is that it’s difficult to know, or understand, or explain what, exactly, Facebook even is at this point. “Social network” seems too quaint for all the company now does. Perhaps recognizing this, Facebook has more recently opted to broadly frame its utility as a facilitator of relationships in all their forms: romantic, platonic, professional, commercial, recreational and more. Facebook also bears an increasingly uncanny resemblance to the web portals of yore — the AOLs, Yahoos and CompuServes that sought to put everything the web could offer in one centralized place (so much so that, in some countries, Facebook essentially is the internet, to disastrous effect). We all know what happened next. But unlike those portals, which existed when “logging on” was something you did rather than experience as a perpetual state of being, Facebook is something wholly different — more pervasive, widespread, the firmament of our world. Dating, alongside all those other features, is how Facebook plans to keep it that way.